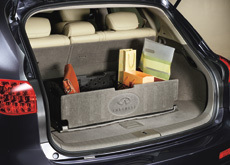 Organizes and helps keep your packages and other items from moving around while driving. Constructed of heavy, durable and flexible material.. This product requires: 999C2-YW000.